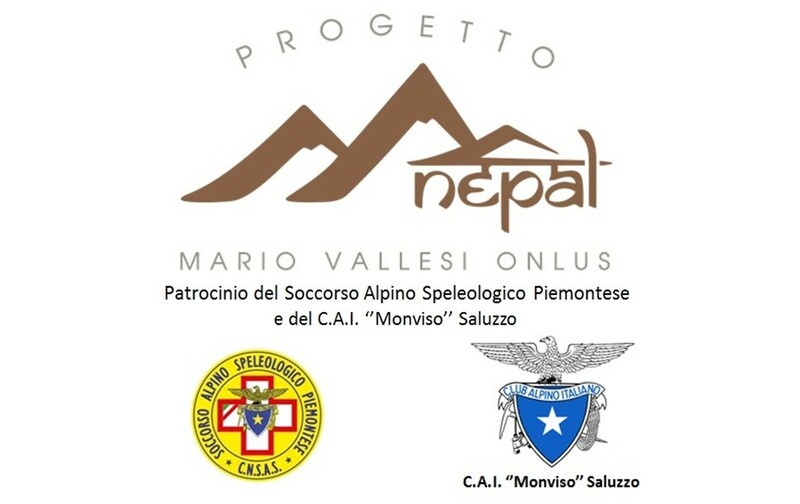 The Nepal Mario Vallesi Project (PNMV) is the continuation of a long humanitarian activity started in 2003 by “Soccorso Alpino e Speleologico Pemontese (SASP)”, the Italian mountain rescue association. The PNMV is the natural consequence of the friendship among some people living in Alps valleys in Piedmont and some Sherpa people from the Solu Khumbu district. We would like to mention some of them: Chhongba, Dolma, Lakpa, Pasang …They work during the Summer is some Piedmont Alpine shelters while in Nepal they are the owners of a trekking agency (www.monvisotreks.com). This is the origin of the friendship among them and some of us. During a trekking in the Solu Khumbu, the problem of realization of a building for the medical facilities in Nunthala, the Dolma, Chhongba, and Pasang native village, has been presented to some of us. If this building would been realized in some way the Nepal government would have sent some medical personnel. (In 2005, no sort of medical assistance was present in that village). The SASP decided to celebrate his fiftieth anniversary taking in charge the realization of this structure. In 2007 the first two building of the structure have been inaugurated with the financial contribution of several people (SASP members and not), of the AIRGREEN and many other friends. The in loco coordination and managing of the project was made by our Nepali friends Lakpa and Chhogba. In 2008, the structure was completed with a third building. In the Nunthala photo, the structure is the one with the blue roof. The managing of the sanitary post is run by a local committee chaired by Chhongba, Dolma e Lakpa while the cost of medicines is in charge of the financial resources collected in Italy. After the realization of the medical post building, the need to have the electric power became evident at least to supply a refrigerator to store the medicines. In the village, at that time, there was no sort of electricity. Besides, a small hydro-electricity power source could supply the school, the monastery and the houses of the village. p style=”text-align: justify;”>In order to meet this need, the SASP decided to start a new project, the PROGETTO NEPAL MARGHERITA, with the aim to realize a small, (28 KW), Hydropower facility. With the contribution of a lot of people, including the Mario Vallesi family, (that has covered an important part of the cost), the Rotary Club of Annecy, The Biella “Soccorso Alpino” and a lot of other people, in 2010 the new Hydro power facility was inaugurated with a touching ceremony. The design and the realization of the structure was managed in Nepal by our friend Lakpa and Chhongba. The technological part of the work was carried out by Nepali firms and the manual work was made, free of charge, by workers living in Nunthala and in other near villages supplied by the hydropower facility. In early 2011, for reasons related to its own laws, the SASP was forced to cede the management of this volunteer activity, maintaining however the patronage. A committee inside the association “Dal Monviso al Brasile” took in charge the managing of the project. Some people of this committee are the same that were involved in the past in the PROGETTO NEPAL MARGHERITA. The aims of the new project, named “PROGETTO NEPAL MARIO VALLESI” ore to support the existing structures already realized (hospital, hydropower facility, etc.) and to start new initiatives, always in the Solu Khumbu valley. The first new realization of the Progetto Nepal Mario Vallesi was the computer room of the Nunthala School, with ten personal computers, one printer and one photocopier, in 2012. 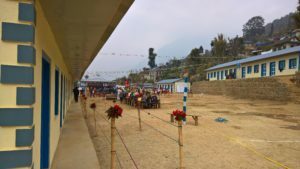 During the inauguration trekking of the hydropower facility in Nunthala the idea of another hydropower facility arose, this time in Kurima, a remote village where Lakpa (one of our friends who spent a lot of energy for the realization of the Nunthala hydropower facility) was born. The principal promoter of this initiative was the Lions Club of Giaveno (Italy) together with the Rotary Club of Annecy and the Progetto Nepal Mario Vallesi. Kurima is a very remote Sherpa village two-walking-days-far from Nunthala. There is only a small elementary school and nothing else. No electric power, no telephone, no shops, no roads. The houses are far apart from one another and are placed in the clearings of a forest, on a ridge of a steep valley at 2300 meters. The presence of the electric power would change the quality of life to the Lakpa’s father and to the other members of his family as well as the other people living in that village. The good news is that in 2013, with the contribution of the Lions Club, the Progetto Nepal Mario Vallesi, the Rotary Club di Annecy and some other minor contributors, the hydropower facility was realized and started to work. Starting from the autumn of 2013, with annual frequency, dentist campaigns have been financed at the Nunthala health post. Some Kathmandu clinic doctors have conducted the dentist campaigns. With this initiative, the Nunthala people can have a basic dentistry assistance. In the march of 2015, the new managing committee of the PNMV has been elected. The earthquake in the spring of 2015 has damaged or destroyed many houses in the Nunthala region. The PNMV stated immediately a fund raising dedicated to the earthquake emergency. The first emergency help has been the furniture of about 1000 sheets metal roofing. In the autumn of 2015, the responsible of the PNMV with some other friends visited the Solu Khumbu area, in particular Nunthala, Kurima and Waku. This last village has been visited on suggestion of our Nepali friends Lakpa and Chhongba. In the Waku village, we have found the more critical situation. The local school (about 500 students) was destroyed and the lessons were held in dilapidated shacks. We decided to do all possible to rebuild the school. Waku is a remote end very poor village one day walking from Nunthala, al 1500 m of quote. In the autumn of 2016 we decided to found our ONLUS association, the PROGETTO NEPAL MARIO VALLESI ONLUS. In this way, we became independent from the Dal Monviso al Brasile association. The day 1 March 2017, at the presence of several nepali political people, like Dr. Batarai, The Waku school has been inaugurated. At the ceremony was present also a delegation of PNMV. The contribution of Progetto Nepal Mario Vallesi has been 99450 Euro. The total cost has been 167450 Euro. Other Italian persons and associations have covered the remaining part.